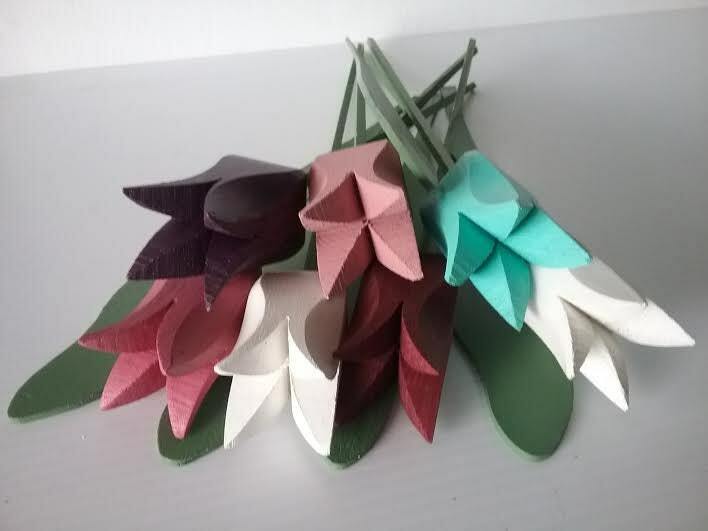 Bouquet "Kicki" consists of 7 wooden tulips and 4 leaves. The heads and stems come separate. 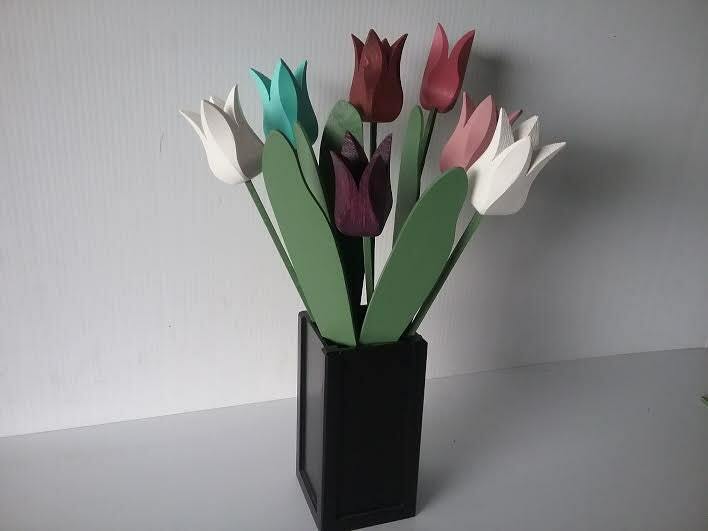 The length of the stems varies 25-36 cm ... 12"-14"
The tulips are approx. 7x3.5x3,5 cm...2 3/4x 1 1/2 x 1 1/2 , as they are made one by one. We try to send the exact colors on the photos. 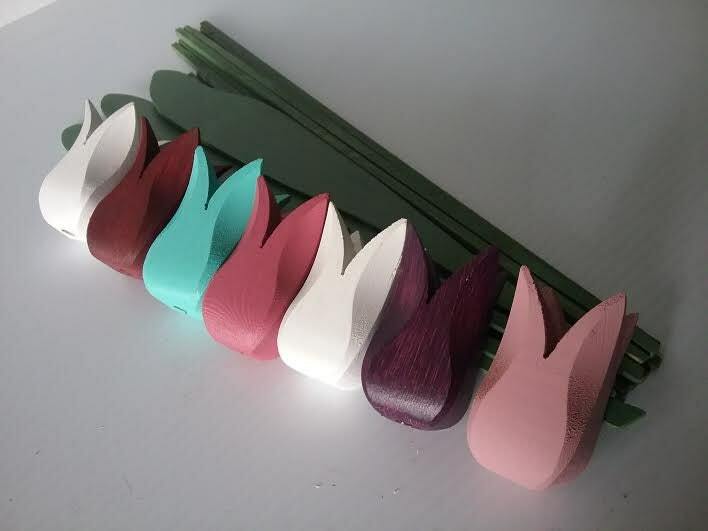 As they are painted with acrylic paint they can be outdoors.